Olive oil is obtained by crushing olives and pressing the oil at room temperature. The tree crop is native to the Mediterranean but is now grown in other areas of the world. Some industries use heat to try and extract more oil from the olives but this process degrades the quality and flavor of the oil. The top oil-producing countries in the world are Algeria, Argentina, Greece, Italy, Jordan, Lebanon, Libya, Morocco, Portugal, Spain, Syria, Tunisia, and Turkey. Greece, Italy, and Spain have the highest consumption of olive oil in the world. Is It Safe to Eat Olive Oil? Olive oil is an important ingredient in cooking in the Mediterranean where it is used for salad dressing, as an ingredient in dressings as well as for sauteing. I use olive oil frequently in cooking as well. 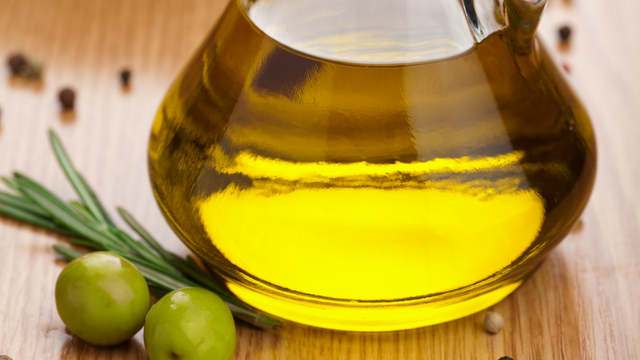 For more on consuming olive oil, have a look at the cooking with oils archives. Olive oil contains beneficial monounsaturated fatty acids – oleic acid, linoleum acid, palmitic acid and stearic acid. It also contains some amount of vitamin E and K as well as oleuropein. It also contains traces of squalene. Olive oil is usually virgin or extra virgin. The essential fatty acids in olive oil coat the hair shaft, giving it a smoother and healthier appearance. Olive oil is a natural moisturizer for the scalp due to its lightweight nature and rich nutrient profile. Hair tends to be dryer in the winter months and in humid environments leading to frizz and flyaways. Olive oil treatments can help tame frizz and smooth out flyaways with regular treatments. When combined with essential oils and other dandruff treatment oils recommended in the recipe below, olive oil can help combat dandruff and dry scalp issues. Hot oil treatments with olive oil make hair more amenable to handling leading to less breakage over time. After the mild protein treatment recommended below, your hair will be easier to detangle and style. Olive oil works wonderfully as a hot oil treatment alone or mixed in with other oils such as castor oil and sweet almond oil. This treatment is ideal for dry hair with crackly ends. Mix the olive oil and borage seed oil, poppy seed oil or cranberry seed oil in a bowl. Add your choice of essential oil and lemon juice, and mix together. Massage into scalp before the hot oil treatment or leave in overnight and wash out the next morning with a mild shampoo then deep condition. Mix the olive oil, wheat germ oil, and egg yolk in a clean bowl. Whisk with a fork until well blended. If the smell of eggs makes you gag, you can add in a few drops of ylang-ylang essential oil or lavender essential oil to mask the scent of the egg. 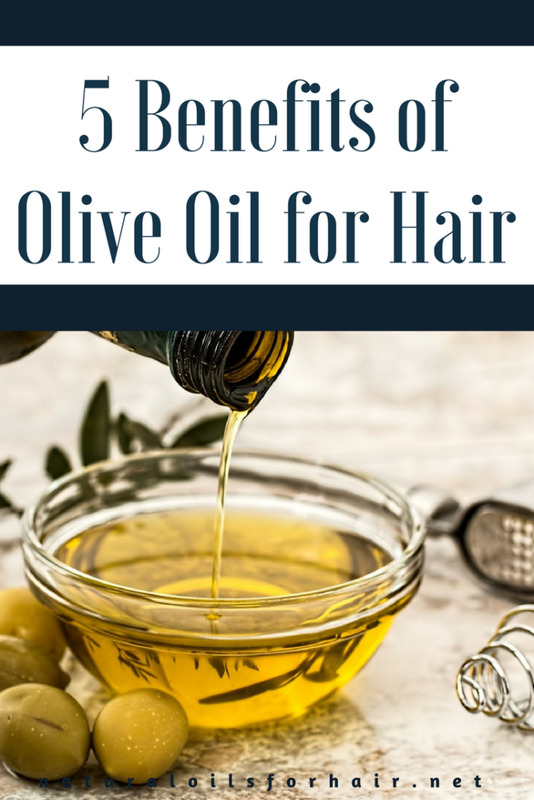 Personally, I prefer olive oil in my hair treatments rather than applying it to hair after treatment. For that, I go with other oils such as coconut oil, sweet almond oil, and argan oil. Can Olive Oil Make Hair Grow Faster? Olive oil cannot make your hair grow faster. It’s ideal for treating dry and damaged hair with split ends. When it comes to natural oils that can make hair grow faster, there are more suitable oils for hair growth. Have a look at the hair loss archives for a comprehensive list and articles of oils for hair loss including recipes. Can Olive Oil Repair Damaged Hair? Olive oil can help repair chronic dry and damaged hair. Olive oil contains monosaturated fatty acids that enrich the hair and promote softness and shine. With continuous treatment, the dryness will be reversed provided you have eliminated hair care practices causing the dryness in the first place. Is It Ok to Put Olive Oil in Your Hair Overnight? You can safely put olive oil in your hair overnight without any issues but your pillow will end up greasy so wrap up with cling film and a scarf before you go to bed. Can Olive Oil Thicken Your Hair? Olive oil used in combination with castor oil, Jamaican black castor oil and or pecan oil can help improve the density of hair. On its own, however, it won’t make much of a difference to the thickness of your hair. What Brand of Olive Oil is the Best? There are many olive oil brands on the market that have been adulterated with other oils or aren’t produced with the purest of methods yet labeled as virgin and extra virgin olive oil. The International Olive Oil Council (IOC) holds a competition every year where the best brands of olive oil are graded on a variety of factors. For more recommendations on the best olive oil for hair, read Guide to the Best Brands of Extra Virgin Olive Oil for Hair, Health & Beauty. The guide goes in-depth into which specific oil (s) works for each hair issues for optimal length and health. Get up to 20% off the paperback version HERE.